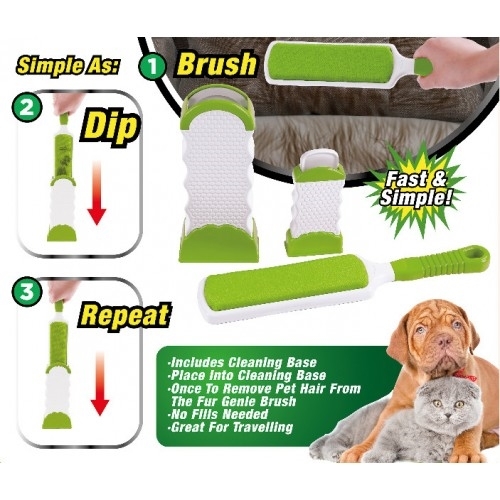 Frustrating animal fur clean up can now be resolved with a wipe of the newest Fur Genie! 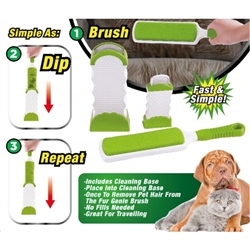 Does your animals hair on your furniture frustrate you? Animals have a tendency to lose their fur on a regular basis. It sticks to everything including rugs, couches, beds, etc. A vacuum cleaner does not always get it all up. This frustrating clean up can now be resolved with a wipe of the newest Fur Genie!